The most common question we get is “How long is going to take to fix my dog’s problem?” Whether it’s housebreaking, severe resource guarding, or pulling on leash….this is what every owner wants to know! And I don’t blame them! You’re about to shell out $100+ per hour to try and fix a problem that has been driving them absolutely crazy. And do you know what the worst part is? The answer is: That depends on you and the dog! 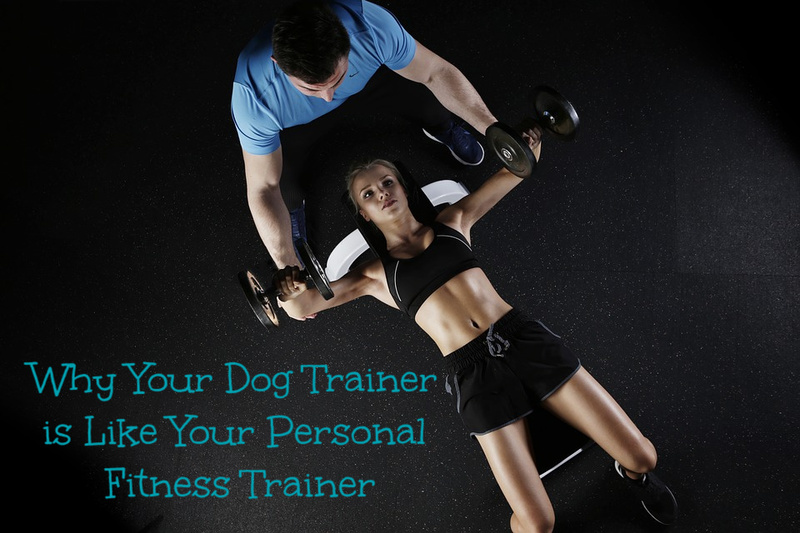 A few years ago, I realized that hiring a dog trainer was a lot like hiring a personal fitness trainer. When you hire a fitness trainer, you meet with them about once a week. They ask how your week has been, they assess any improvement or deterioration in your strength and stamina, and then you move into your workout. These are all the questions dog trainers should be asking at the beginning of each lesson! We should hear how it’s been going, what successes and failures happened, we should assess the current state of the dog, and the proceed with a lesson that directly addresses the new or continuing concerns of the owner. But it doesn’t stop there. What else does a personal trainer ask you to do? They likely prescribe an exercise plan that you are asked to follow for the days between lessons. Some may even prescribe a new eating plan for you – all of which is based on goals you’ve previously discussed. Your commitment to following the exercise and diet plan will directly affect your ability to meet your training goals. AND THE SAME GOES FOR DOG TRAINING! This is one of the reasons I’ve formed a private Facebook group for our clients. (Found here! https://www.facebook.com/groups/doggonegoodtraining/) This group helps provide accountability and resources throughout the week in between your lessons – and even after your lessons have finished! You’re welcome to join the group even if you’re not a client yet!